In smartphones, AI powers digital assistants. In cars, it wants to be a digital chauffeur. But what if those two branches of artificial intelligence came together? Huawei set off on a 5 week mission to find out – the RoadReader project. 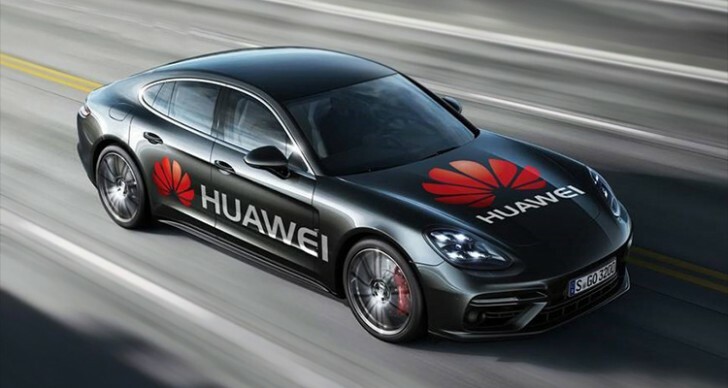 Engineers taught a Huawei Mate 10 Pro to drive a Porsche Panamera – throttle, steering wheel, breaks. It leveraged the phone’s NPU, the part of the Kirin 970 chipset that accelerates machine learning tasks. Using the phone’s cameras and object recognition, the team managed to teach the phone to recognize obstacles in the road and maneuver around them. Quite impressive for just over a month of work. Keep in mind that most of the companies trying to build a self-driving car are using custom chips made by Nvidia, Intel, MobileEye and others. Not to mention the extra sensors they use. Huawei pulled it off with the low-power chip running on a battery and with the two Leica cameras (to be fair, the other companies do more than avoiding stationary obstacles). The self-driving Panamera will spend two days at the MWC in Barcelona where people will not only be able to take a ride, but also teach the system to recognize and avoid obstacles.